Sailors who are not quite of high school age come together to explore and grow their love of sailing with our Middle School Sailing Team. 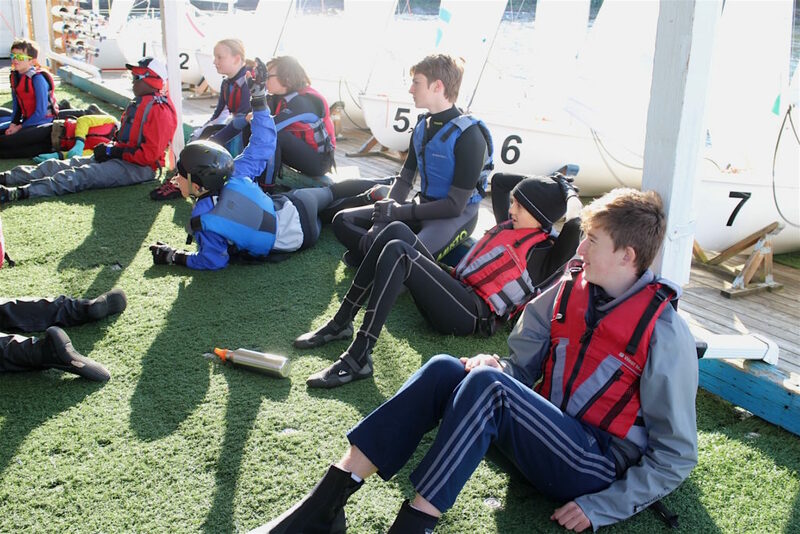 While preparing sailors for the more racing focused high school and summer programs, coaches will prioritize team building and fostering an enjoyable and inclusive environment. Eighth-grade participants have the opportunity to practice with the HS team and travel to select regional regattas. Practices are held for 3 hours twice a week. Spring season is March through mid-May and Fall season is September through early November. New Middle School Sailors apply here! Note: To increase accessibility, team dues are kept low and scholarships are available for any sailor. To apply for a scholarship, you can download our Youth Racing Scholarship Application here and return it to the office by email (nino@sailsandpoint.org), mail or in person.